* This item is neither produced nor supported technically by Parallax, Inc. Technical support for this product is provided by Gravitech support@gravitech.us. 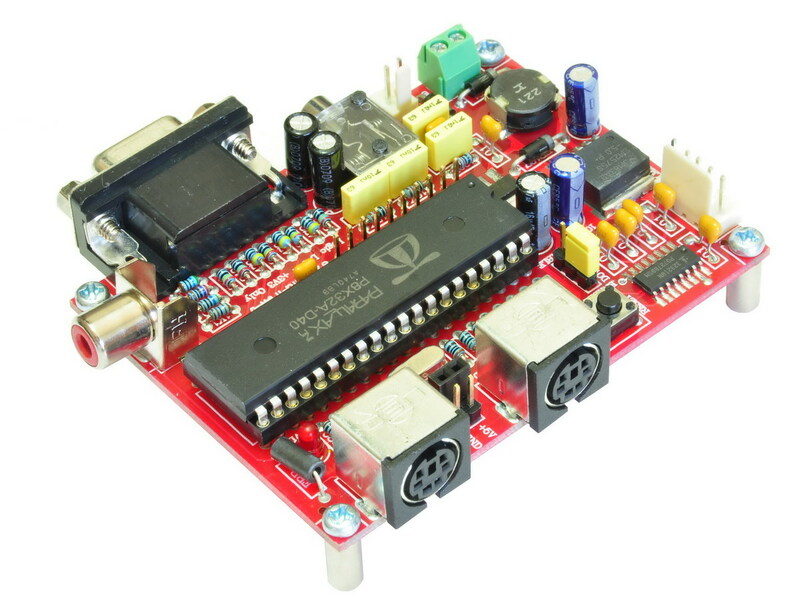 The Propeller P8X32 Controller board, utilizing the multi-processor high performance Propeller P8X32 microcontroller. 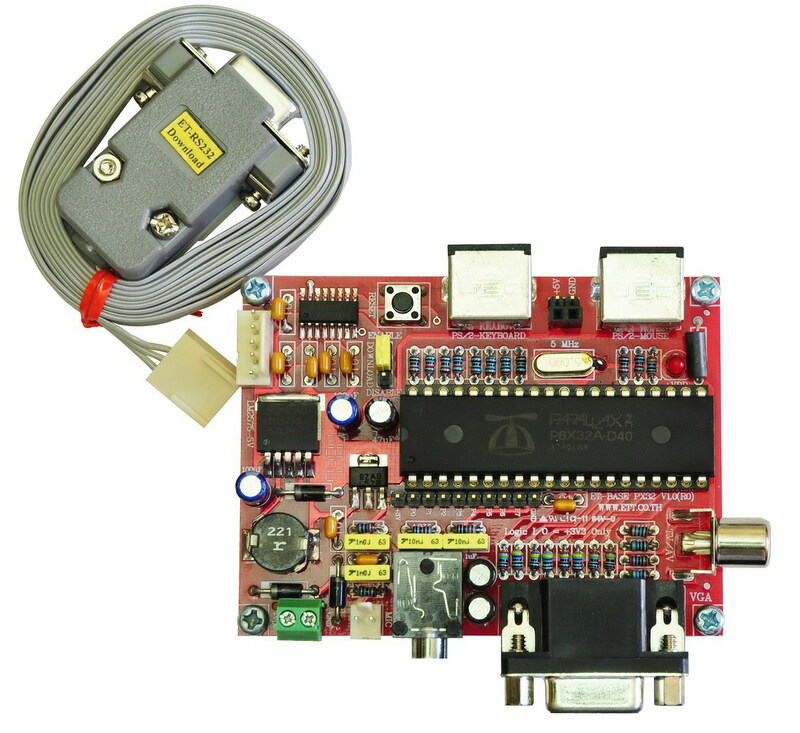 Our new P8X32 Controller Board offers standard connectors and support for direct ASCII Keypad Connection, Mouse support,TV output, Audio output and much more. 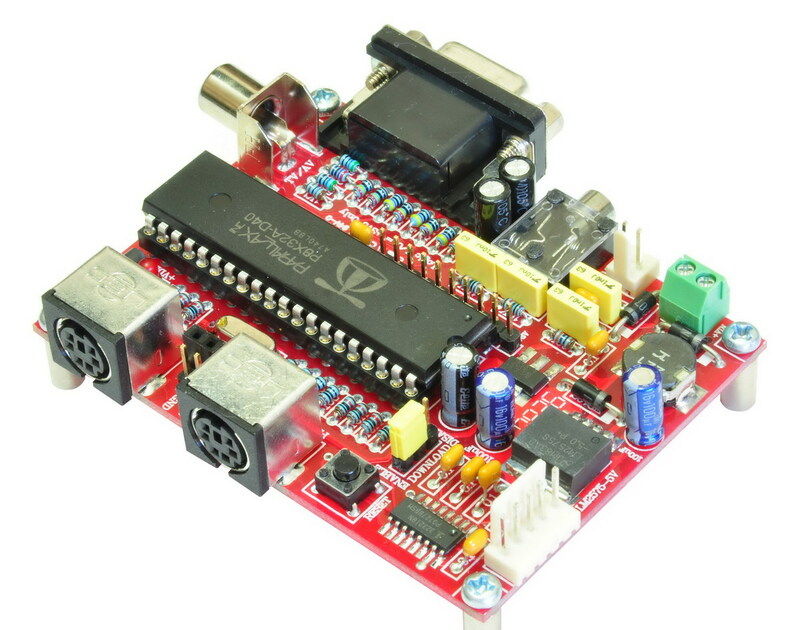 The P8X32 Controller board is a high-level controller that is ideal for use in graphical displays, robots and much more. Write programs in easy to learn high-level SPIN language or basic assembly language for direct peripheral control. 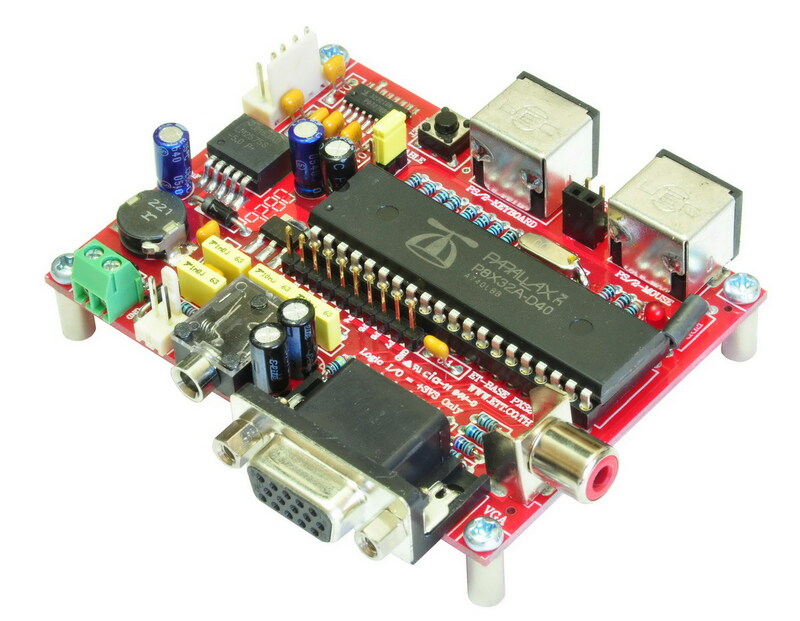 The P8X32 Controller Board includes the P8X32 microcontroller, which includes 8 separate processors for high-speed parallel processing. This enables complex calculations and peripheral support to be achieved easily whilst maintaining high-speed program execution. Programs can be developed quickly and easily using the high-level SPIN langauge, with direct support and object libraries for TV displays, keyboard and mouse inputs, together with audio input and output. 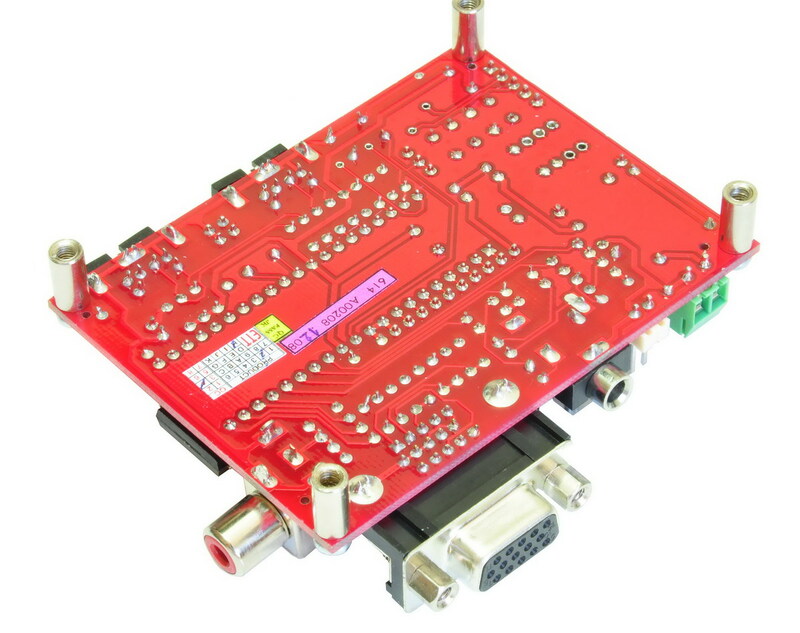 A large number of I/O points are available for interfacing to external equipment. 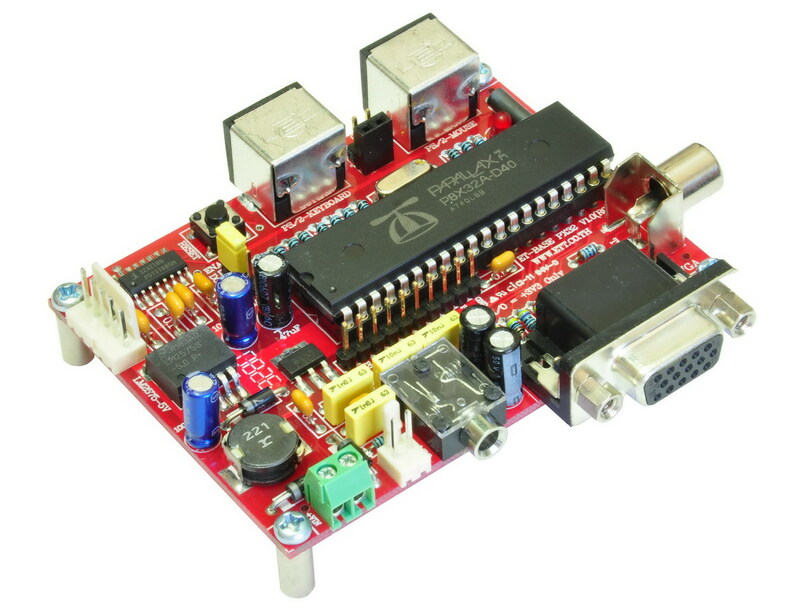 Programs can be developed and compiled using the Propeller software compiler and downloaded directly to the board using a standard USB computer connection. 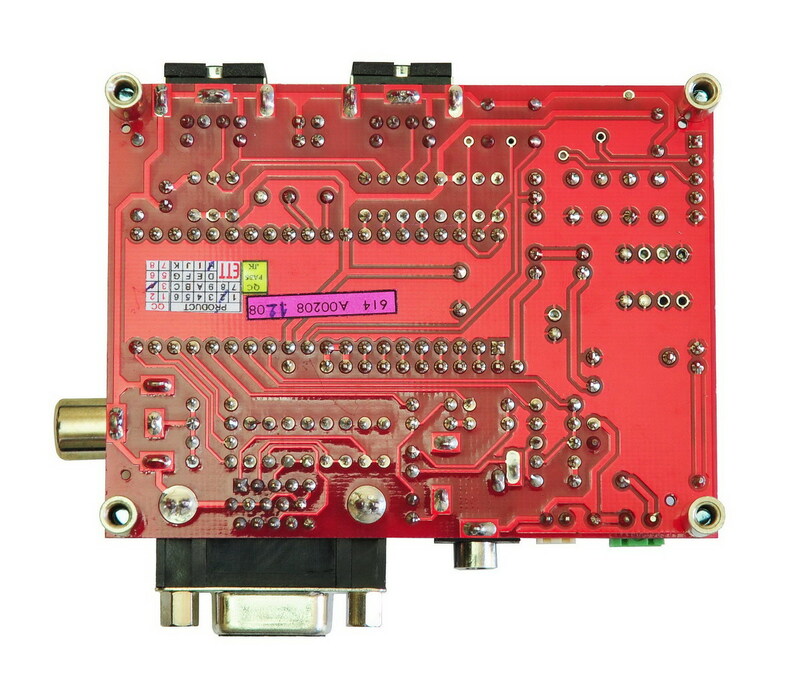 All the necessary support components are included, with a +5V regulator and 3.3V regulator for on-board power supply. A MAX232 is mounted for direct RS232 computer connection, together with a RESET button to start program execution. 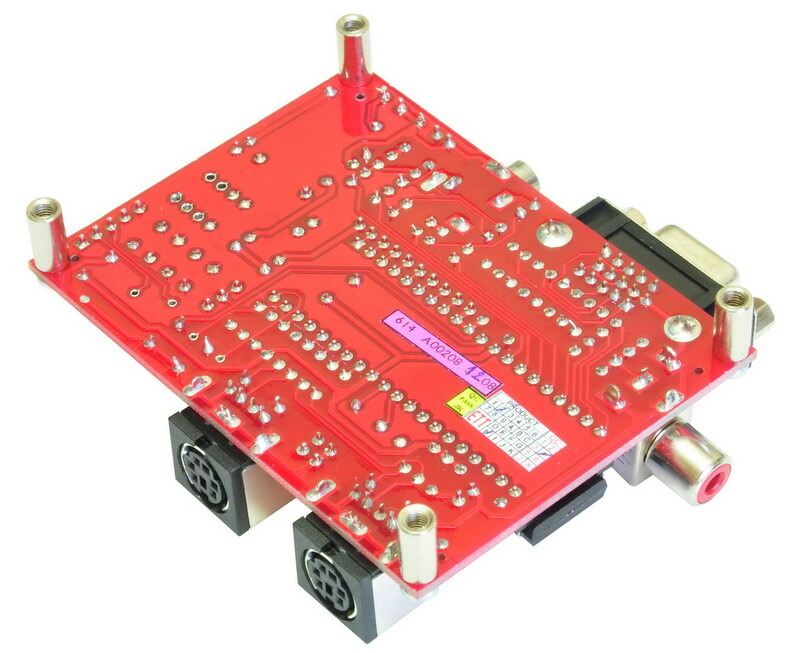 Standard PS/2 mouting sockets are included for keyboard and mouse connections, together with a standard RCA TV connector and audio output jack. Our new P8X32 Controller Board is ideally suited for the hobbyists, wanting support for TV, keyboard and mouse control without the need to write complex support software and drivers for these devices. These peripherals are easily supported together with high-speed program execution with the multi-processor Propeller microcontroller. 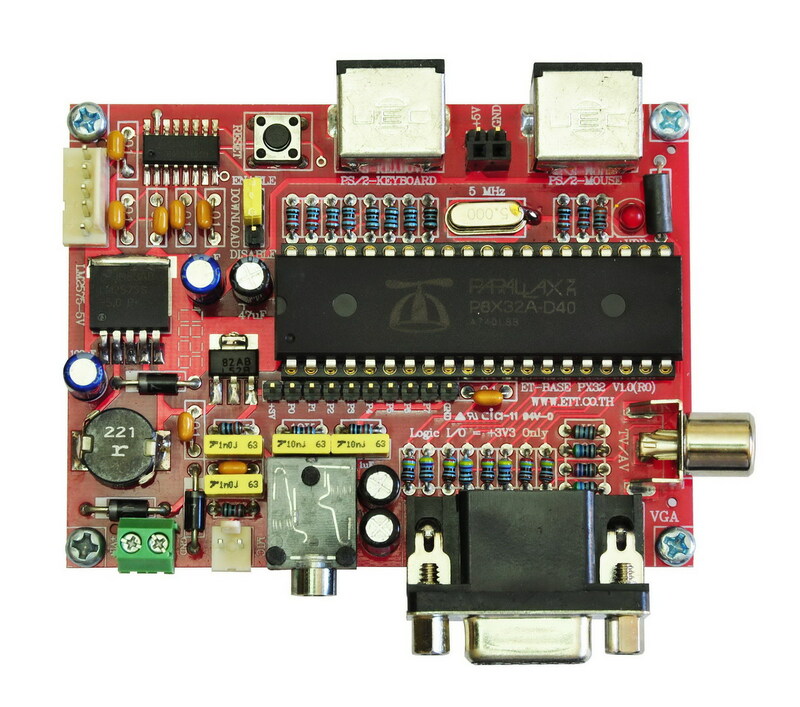 The P8X32 Controller board is ideal for use in graphical displays, visual control demonstrations with user feedback, as well as robots and other high-level applications. � Board dimensions: 3.125" x 2.375"